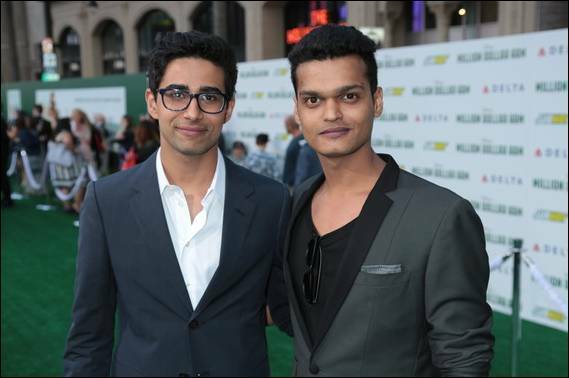 Continuing with the celebrity interviews that we were able to do for Million Dollar Arm… another was with Madhur Mittal and Suraj Sharma! You may remember Suraj Sharma from Life of Pi, he was phenomenal in that and does an equally great performance in Million Dollar Arm. I had not previously seen Madhur Mittal, but he did have a part in Slumdog Millionaire. He also did a fantastic job in Million Dollar Arm. 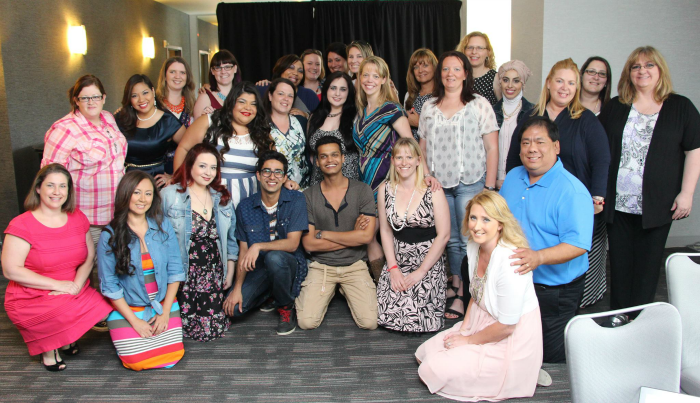 Myself and the other bloggers on the Disney trip were given the opportunity to interview both Madhur and Suraj. They play the young boys (Rinku and Dinesh) who are brought to American from India to learn baseball. Q: How did you get involved with Acting? Madhur: Very different stories for both of us. I have been in the business ever since I could remember. I started my career as a Michael Jackson impersonator as a child. Before I was three, I started with Michael Jackson and that’s how I got into the entertainment business and when I was five my whole family they shifted from Agra, where I was born to Mumbai, just so I could pursue a career in the arts and just really amazing supportive family. And they struggled and really pushed for me, I always wanted to be an actor. I’ve worked and strived hard to be that. It’s very liberating to be on a film set. Like as a child I was very shy, a complete introvert, I mean not the kind of person I am today at all. And even then I remember that I wouldn’t be able to answer questions to people or just be very communicative, but when I was on stage I was a different person. And that’s when I felt the most confident and the most alive, and I felt that this is where I belong and this is what I’m meant to do. This is where I’m meant to be. And I’m sure Suraj feels the same way. Suraj: For me, I never knew. I never wanted to be an actor, or anything to do with film, it was more of realization….It just opened my eyes to the fact that, oh, wow, look there is something here that actually I love a lot. And that’s how it began. You are surrounded by so many weirdoes who are trying to make something out of nothing and I love it. And they are full of passion. By weirdoes, I mean it in a very positive way. Like we were saying, you know, insanity is legal on a film set. Q: Have you played baseball prior to the film? Suraj: Absolutely not. Zero experience in baseball altogether. Yes, it was quite hard. We had a lot of fun during training though. Madhur: We had three and a half weeks to do whatever we could do. We did have four hours of baseball every day and we are both quite scrawny boys so we had to put on a lot of muscle. We trained for three or four hours every day and then rest an hour, and then go to the gym for a couple of hours, and strict diet. It was quite physically challenging, but it helped. Suraj: Yes, I think we had a lot of draw from the fact that we were in the similar situation, you know, like we had a really short amount of time to prepare and then we had to perform on set. And also these guys they had like 10 months of preparation, and they had to perform. So I think it puts us in a similar kind of mind frame. Q: What made you want to audition for such strong roles with an inspirational and true story behind it? Madhur: I think the first thing that really hit me was, this is a tremendous feat that these guys have achieved and I had no idea about these guys. Nobody in my family knew. None of my friends knew this story. What these guys have achieved is something that nobody has ever done in any sport in the history of mankind. So, I was really kind of upset and I know for a fact that so was Suraj, that we do not – nobody knew about this story. I think it’s very important that this story reaches people and that was the first thing that hit me. Also the fact that, you know, we’ll get a chance to portray real-life characters. Suraj: Yes, same thing. It’s just the fact that these guys that came from nothing, went and did something phenomenal. They weren’t really appreciated for what they did. Madhur: In a way, yes. They’re not applauded enough. Suraj: Exactly. It depressed me almost and the fact that I didn’t know myself. It just leads you to think that their story really needs to be told, and people need to know this. Other than the fact that it was an amazing feat, it just gives you a sense that there’s a whole lot out there that we don’t really realize., opportunity wise. The amount someone can work in a situation, where they don’t know what’s going on, and make something out of themselves, is really…it’s very inspiring. Madhur: I think it gave both of us a chance to showcase something different from what people have seen us do in our last films as well. I played a bad guy in my last film; he played a completely different character. It’s a great chance for us as young actors to portray something different and expand our spectrum as actors. I was provided an all expense paid trip to Los Angeles with Disney to cover the premiere of Million Dollar Arm. Opinions are 100% my own!